Last month I got all slushy, mushy, gushy and any other romanticized '...shy' type words that may be eluding me at present, over a brief, but nonetheless brilliant, three track EP from South London's newest purveyors of 80/90's retro indie/jangle-pop, The Hannah Barberas (see review here). A month later and with the minimum of fuss and fanfare some of the members of HB have slipped a 5 track debut EP onto Bandcamp from their other band, The Postcards (although I could have sworn I saw these in London in the late 2000's, it could have been that I was drunk, so perhaps I am wrong about the debut thing?) which is equally as meritorious, although somewhat aesthetically different. The primary difference lies in the fact that the 80/90's indie-pop chic that was seen with HB's is replaced with a far more concentrated emphasis upon the spectrum of the same era's jangle/guitar-pop scene. Initially tracks such as Golden Boy (see below) and the definitively beautiful Watch The Skies, flutters with the sort of 80's jangled guitar-pop grace of Nick Heyward's solo work or one of the more essential Fantastic Something tracks. It all grace, poise and brilliance presented via a Sarah Records filter. Other tracks such as the opening Stay Home (see below) and Nothing Excites Like You, juxtaposes the early 1990's jangled insistent guitar works of bands such as The Chesterfields and The Frank and Walters to the sort of strangely Mighty Mighty languid vocal style that has that sort of endearing extemporaneous delivery that was so indicative of the era. The other stylistic variation to the HB's work is that much of this EP appears to be the works of the 'lovelorn' as opposed to delivering any social comment, with the quite superlative Golden Boy being the lyrical equivalent of The Undertones My Perfect Cousin, but replacing the subject matter of their jealous scorn towards the ex-partners latest 'perfect beau'. It is a track full of sardonic spite, resentment and resigned acceptance of defeat in love and is the subject matter of the much of the EP. 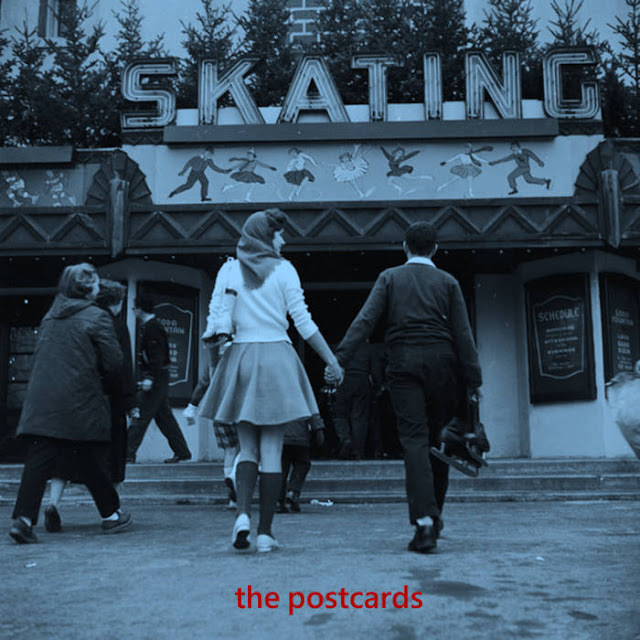 The Postcards, whether an old or new band, really deserve a lot of recognition for this EP and hopefully will have plenty more new, or lost tracks they can also sneak onto Bandcamp!